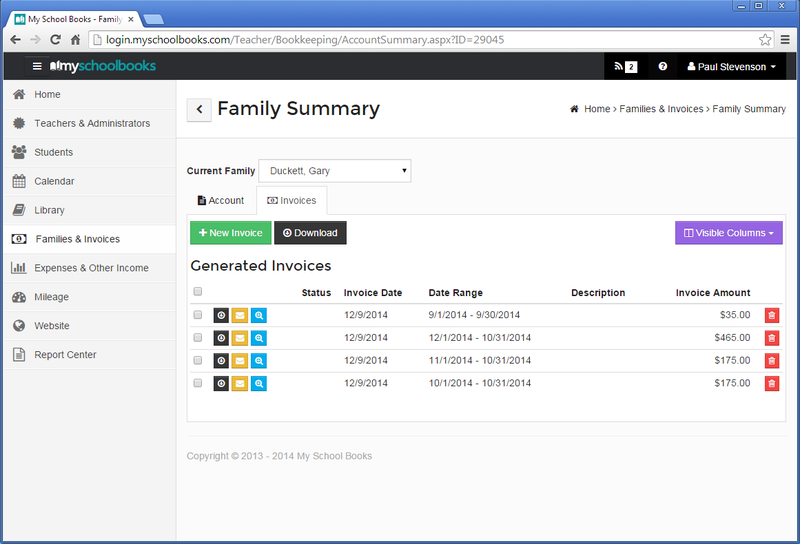 To further automate your school, My School Books features robust PayPal and Stripe integration allowing you to accept credit card payments online without ever having to leave My School Books regardless of what country your located in. My School Books customers are eligible for new Paypal Payments Pro accounts at no monthly cost (savings of $30 per month). 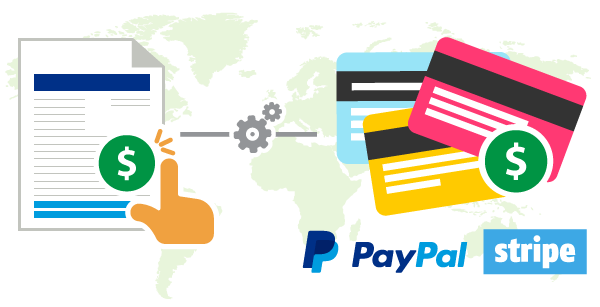 Paypal will also work with you to secure the best processing rates possible. My School Books customers also have a dedicated phone number to reach PayPal. 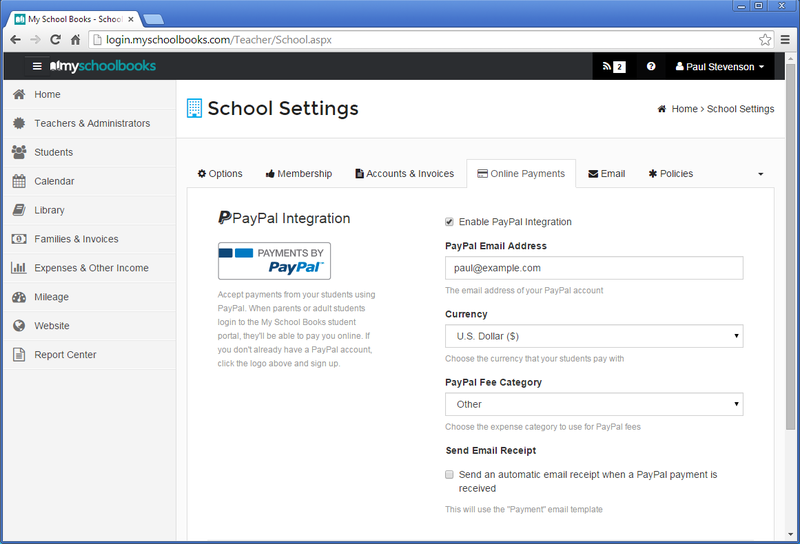 Information on how to get started accepting credit card payments with PayPal Payment Pro and Stripe can be found in your My School Books account under “School Settings” > “Online Payments”. Using My School Books PayPal and Stripe integration features are completely optional, and even if you’re using it you can still accept other forms of payment. You can have some students pay you online, while still accepting cash and checks from others. 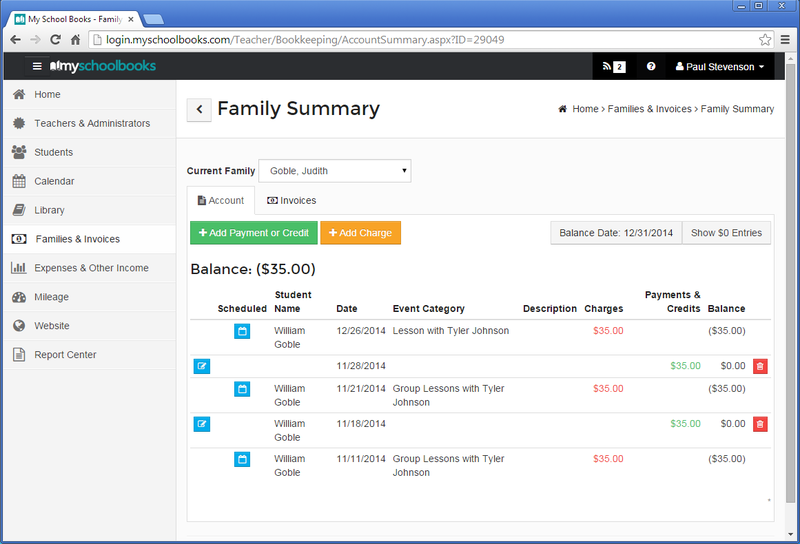 My School Books PayPal and Stripe integration simply provides your students with another way to pay you. As a tutor, this is one of the easiest ways to start accepting credit cards online.